The four-door Lincoln convertible that Rick Parker owned in his younger days is gone, yet not forgotten. Desiring to acquire an old Lincoln convertible, Parker has investigated several models, but for one reason or another each of them fell short of his requirements. 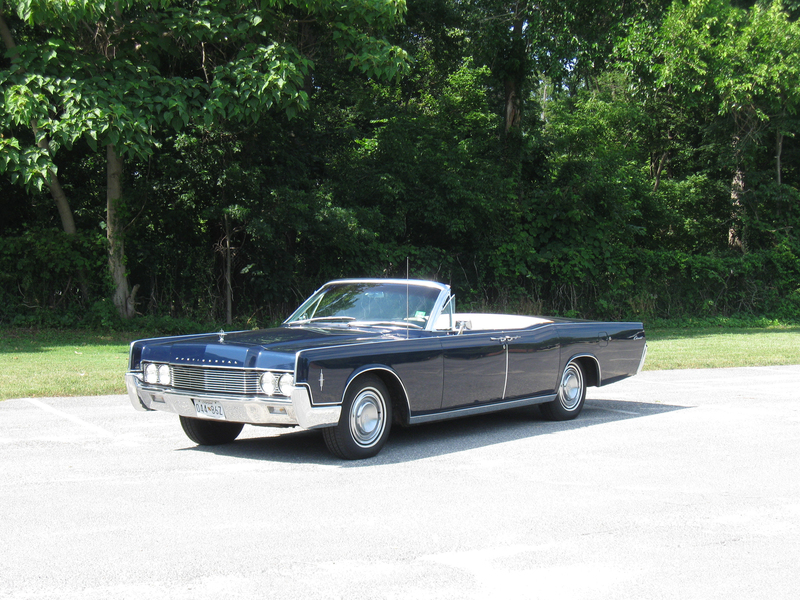 Then came the summer of 2010 when Parker received a reliable tip that a 1966 Lincoln convertible painted Pitcairn Blue was for sale — and pictures of the car were promising. Parker mistakenly thought the Lincoln was in Virginia, where the seller was located, however, the Lincoln was in Boynton Beach, Fla.
Parker then took the only practical action imaginable — he flew to Florida to inspect the Lincoln. Between the massive bumpers the impressive convertible stretches 18 feet, 5 inches long. Paperwork accurately detailing the history of the 1966 car showed that it had been ordered on April 15, 1966 at the Barry Lincoln-Mercury dealership on Detroit Avenue in Lakewood, Ohio. Included in the delivered price of $6,514.08 were: Air Temp air conditioning ($523.55), AM/FM radio with rear speaker ($244.54), 6-way power seats ($83.23), power door locks & guards ($75.26), power vent windows ($71.64), white sidewall 15-inch tires ($56.80), tinted glass ($52.53), license plate frames ($9.65), 3-way non-glare inside mirror ($4.65). The four-door convertible Lincoln, one of 3,180 such models manufactured, was delivered May 10, 1966, just in time for delightful top-down weather. When Parker saw the car the odometer had recorded only 81,000 miles. Up until 2007 the convertible was driven regularly, but records indicate that between 2007 and 2010 the car had been driven only 40 miles. 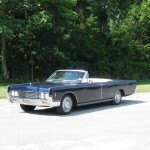 The slab-sided Lincoln was parked in a garage with the white top in the raised position. Parker describes the Lincoln’s appearance as “very smudgy.” The smell of mildew permeated the garage. Parker recalls that once started, the massive 462-cubic-inch V-8 engine ran, but not right. It certainly was not producing 340 horsepower as it once did. As attracted to the Lincoln as he was, Parker and the owner could not agree on a mutually acceptable price. Parker went home to Rockville, Md. Sometime later Parker’s telephone rang. The Lincoln owner was calling to accept Parker’s offer. “I was thrilled,” he said. Parker promptly arranged to have the convertible trucked to the west side of Florida where he knew a trusted technician who would bring the car back to good health. “I wanted a re-commissioned car,” Parker says. That is what he got. 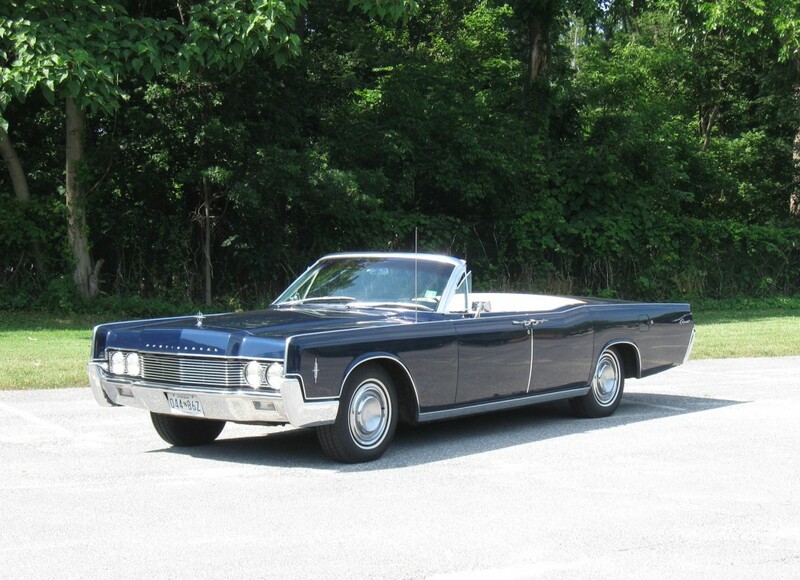 The 1966 Lincoln is loaded with power assisted equipment including vent windows, antenna, seats, steering, brakes and convertible top. Near the gasoline tank filler door on the left rear fender is what appears to be a key operated lock. After inserting a key a twist of the wrist electrically operates the convertible top. “Ten relays run the top,” Parker explains. The enormous deck lid is hinged at the rear. By the first weekend of October, 2010 the Lincoln had been put back into original condition from the black carpet to the black dashboard with the stark contrasting white leather upholstery. The Lincoln rolls on a new set of 15-inch tires on a 126-inch wheelbase. As the 5,480-pound car approaches 83,000 miles, Parker admits the gasoline mileage ranges from, “miserable to very poor.” He says the 340 horsepower is necessary to move the heavy car. “I need it!” he exclaims. This entry was posted in Classic Cars of 1960s, Let's Restore this Old Car -- Classic Classics. Bookmark the permalink.